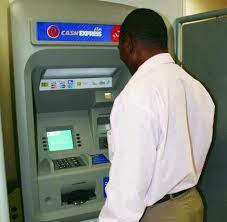 Reintroduction of ATM charges: Good, not good enough! | McKaff's Blog! For many, it was horrific waking up to hear the Central Bank of Nigeria (CBN) announcing the reintroduction of third-party access charges of N65 per transaction for ATM usage. For them, it is the resurgence of capitalistic tendencies spearheaded by the new governor to the detriment of the masses; it is an attempt to ‘salamize’ their accounts thereby taking water from their bowls and pouring into the oceans of the banks, yet again. It is true that some countries like India, had the policy of free access fee on all ATM terminals; however upon realization of the effects on the industry, they are all considering a review of the policy akin to what the Nigerian apex bank just did. In all objective sense, the policy of the removal of the third-party charge has been defective ab-initio. The issuing banks, which are required to operate, maintain and supply the ATMs with cash (all at some cost); are probably expected to cover such cost with some gains from other transactions. Where is the economic sense in that? What is known to all is that enterprises set up strategic business units (SBUs) for positive contribution to the bottom line, and naturally, under-performing or moribund units are either unfunded or closed down. How come we were expecting the banks to be really dutiful on ‘unyielding’ ATM operations. More like the inter-connectivity charges regime between telecoms operators; customers should not be despondent about paying a premium for enjoying some third-party service/access via their primary provider. The CBN had said it took the decision of the reintroduction as a result of unintended consequences of the previous policy on banks; it should be noted that the policy hit the customers too, and real hard. While small or regional banks “gained” by acquiring more customers with the promise of withdrawing anywhere without charge, others were wriggling and shivering under the effect of the policy: For many banks, there is the concern of undue depletion of the ATM cassettes by the third party customers at the detriment of their own primary customers; the burden of operating, maintaining and supplying cash for “strangers” without real incentives; and the concern of issuing banks paying for an expense for which there is no economic benefit. For customers though, the chief issue has always been the oft alleged service gapping from banks. Some banks have been reputed to ‘de-cash’ those ATMs on which third-party customers often withdraw, apparently due to the points about banks above, and the possibility of the supposed charges received from the issuing banks not really covering the cost of service. Thus, more like the often used call gapping service in the telecom industry where a Provider A decides to limit the amount of calls flowing to Provider B for whatever reason -resource management, competition de-marketing, billing management etc; many banks do cash gap their ATMs, hence denying people the much economic benefit at their point of need. It is our opinion however that the reintroduction of the fees is more than necessary and justified, but that the CBN could have even allowed some N3 for the issuing banks to compensate for the back end database running cost, or maybe requesting the switch to share the issuing bank from its own share of the N65, then it becomes win-win-win. Also, the fourth time charging could still be viewed by many banks as being too much – since many customers can arrange their withdrawals on weekly basis -the CBN could have opted for third time charging just like the Indian counterpart is planning. For customers interested in avoiding the fees anyway, there is always the option of staying with one’s bank ATMs, use of cards for normal payments (POS), internet banking and of course, proper planning on withdrawal of three time from “other’s” ATMs. Please share your view on the ATM fees reintroduction. This entry was posted in Business, Government, Lifestyle, Technology, Telecoms and tagged atm, atm fees, banks, cbn, nigerian banks, reintroduction. Bookmark the permalink.